Melissa Spamer, M.A., LMHC, ERYT 500, LMT, C. Ay. Melissa began formally practicing Yoga in 1993. She has completed more then six Yoga teacher trainings and has twenty years of teaching experience, leading classes, workshops, retreats and teacher trainings in the U.S., Europe and Asia. Her love of Yoga led her to also become an Ayurvedic practitioner, spending more than two years of didactic study and clinical training at the Ayurvedic Institute with Dr. Vasant Lad. Her approach to Yoga integrates her in-depth studies in Yoga therapeutics, alignment, and energetic embodiment. She has been fortunate to have studied extensively with such celebrated teachers as Angela Farmer, Victor Van Kooten, Rama Vernon, Shiva Rea, Kali Ray, and TKV Desikachar at the Krishnamacharya Yoga Mandiram. Melissa is also a licensed counselor in the state of New Mexico and continues to study interpersonal neurobiology, attachment, trauma, and somatic therapies for a comprehensive approach to healing. She is the co-owner and co-director of YogaSource in Santa Fe, director of Lotus in the Flame School of Yoga & Healing Arts, and she maintains a private Yoga therapy, Ayurveda, and counseling practice. You can visit her website here. Julie Chase owns and operates Wind Willow Sound Health, LLC, a private sound therapy business in the Kalamazoo area. Reiki Master and member of the Sound Healer’s Association, Julie’s eclectic studies of healing modalities—Reiki, Life Force Energy Healing, sacred Tibetan healing instruments, holistic tuning fork therapy, and life coaching—inspired the development of a unique sound therapy system that assists clients toward relaxation, renewed health and well-being. She works primarily with people who are stress-compromised and conducts workshops utilizing sacred sound instruments throughout Southwest Michigan. Julie offers classes for healthcare professionals who desire the addition of sound therapy to their existing businesses and is excited to offer Sound Meditation Concerts and Gong Pujas to Down Dog students after her recent continued studies with internationally and nationally recognized sound healers. For more information, please visit: www.windwillowsoundhealth.com or see Facebook. Judy is a Licensed Massage Therapist and established bodyworker. 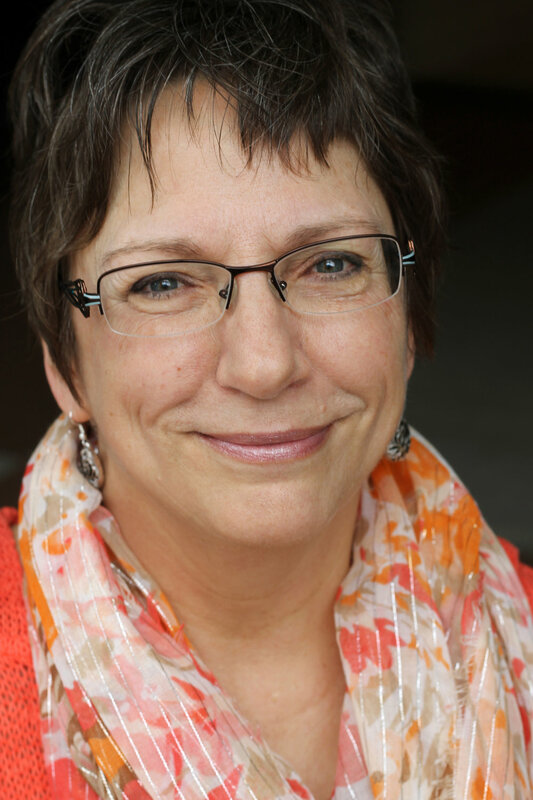 Since completing her training at the Kalamazoo Center for the Healing Arts in 2003, Judy has continued her education with the Upledger Institute, John Barnes Myofascial Release training, Access Consciousness training, and numerous workshops and classes to holistically broaden and support her practice. Judy is also a Registered Yoga Teacher with Yoga Alliance, having completed her 200 hour teacher training in 2008 with Melissa Spamer. In 2016, Judy became a Certified Sound Healer in the ancient tradition of Tibetan bowls and other sound instruments including Tuning Fork therapy and she continues to explore the healing properties of sound, vibration, and yoga. In 2004, Judy opened and managed Awake and Aware Yoga and Bodywork in partnership with Cynthia Hoss until Awake and Aware merged with Down Dog Yoga Center in February of 2014. Kirsten was first introduced to yoga and meditation as a child through her father, an Episcopal priest. She has studied under various studios and teachers in the Chicago, Detroit, and Kalamazoo areas, and received her 200 hour teacher certification in 2004 through Rising Sun Yoga in Detroit. She is registered through Yoga Alliance at the Experienced Registered Yoga Teacher level. Kirsten has immersed herself in the esoteric teachings of yoga and meditation for years, deepening her spirituality and finding new awakenings and greater self-awareness through yoga. Her teaching encompass both Western and Eastern traditions with specific emphasis on the breath, intention, and meditative movement and flow. Since 2007, Kirsten has also been a practicing Reiki Master and incorporates hands-on healing energy with her yoga. She is also a musician and singer/songwriter and incorporates music and vibrational toning into her classes. Kirsten’s classes are rooted in the ancient traditions of yoga and include philosophy, chanting of Sanskrit mantras, meditation, and pranayama, as well as the physical poses. Her classes are transcendental and healing experiences; each class is unique to that specific day and no two classes are ever the same. Kirsten’s classes are ultimately an expression of Divine source. Kate is a registeredIKYTA Kundalini teacher who lives and works in Chicago. She has led yoga workshops at Awake and Aware andMichigan Yoga Associates in Kalamazoo, and Spirit Rising in Chicago, as well as meditation workshops at the Women's Leadership Symposuim and the Summer Institute for Sustainability and Energy at the University of Illinois at Chicago (UIC). Her job at the Office of Sustainability at UIC includes writing and administering grants and bike planning programs. In addition to practicing yoga, she enjoys weaving, knitting and cycling. Chelsie received her yoga certification from the Sivananda Ashram of Paradise Island, Bahamas in 2004. At the same time she was pursuing her parallel passion in nutritional health at The Institute for Integrative Nutrition in New York City, where she completed her Holistic Health Counseling certification. With double undergraduate degrees in Environmental Science and Anthropology from Western Michigan University, Chelsie emphasizes a sociocultural approach to yoga and nutrition for sustainable living and integrates these concepts into her classes. After the birth of her son, Chelsie is especially fond of working with expecting mothers and children. Chelsie is a Registered Yoga Teacher (E-RYT 200), Registered Children’s Yoga Teacher (RCYT) and Registered Prenatal Yoga Teacher (RPYT) through Yoga Alliance. Lillie Wolff is a politicized yoga instructor and somatic coach. She has been practicing yoga since 2003 and is a RYT 500 trauma-informed teacher with over ten years experience facilitating heart-centered, therapeutic Hatha yoga classes. Lillie is passionate about nurturing communal and personal healing and wellness by centering somatic (body-based) spiritual wisdom with a decolonial lens. Lillie is currently training as a Somatic Experiencing Practitioner and her classes and workshops help counter common stress and survival responses and restore balance in the nervous system. Lillie supports her students in living with reverence for and alignment with the natural world and the abundance all around. Lillie gives thanks to her beloved spiritual teachers and somatic practitioners, Melissa Spamer, Taya Shere, and Vanissar Tarakali. Visit Lillie's website.